Back in 1977 I was the Waterfront Director of Camp Ranachqua and later Canoe Base. 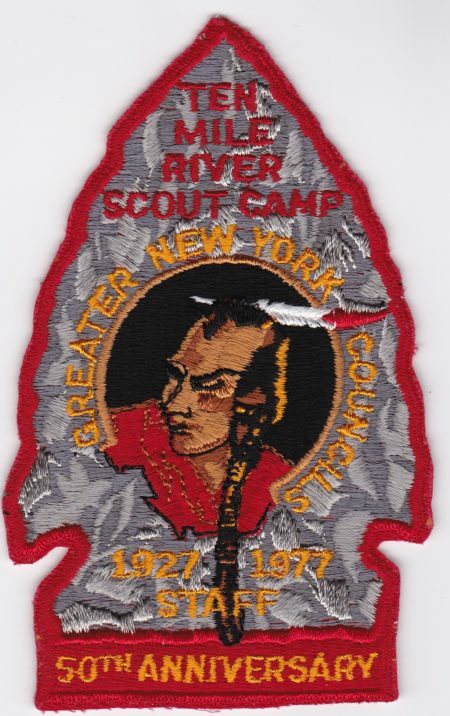 It was also the 50th Anniversary of Ten Mile River Scout Reservation. This is one of my favorite ‘modern’era patches from Ten Mile River patches even though it does not use the iconic Indian Cliffs view. Some staff members wore 155mm tall patcg on their right sleeve.